Post-festive January blues and this cold, miserable, rainy weather make my thoughts turn to hearty winter food! But how to balance the renewed New Year resolve to eat healthily and to combat the effects of festive indulgence with the need for some real comfort food? My answer is always my stock selection of hearty winter casseroles, soups and sauces that are quick and easy to make. They can be made in any number of combinations, using any different meats or vegetables, and work just as well as vegetarian options. They also make great use of leftovers from roast dinners or other meals and can themselves be used as leftovers and made into yet more delicious dishes! Here’s a selection of my favourite healthy comfort food recipes. Feel free to adapt them however you like – the beauty of these recipes is their versatility. I’m not really one for exact measurements and precise quantities in my own cooking, as I love to experiment with different flavours, seasoning, herbs and ingredients, and find that my “chuck it all in together” approach usually works very well! Obviously you can’t follow this principle for baking, but while I love the end result of cakes, scones and sweet treats to go with my lovely tea, I don’t currently do much baking of my own. While I really want to have the time to do more of my own baking at home, I prefer to leave it to the experts! The recipes below serve 2-4 people and can be adapted depending on how many you’re trying to feed and how much food you have left over! It doesn’t have to include meat! I have focused on the meat versions of these particular recipes – apologies to the vegetarians for the hearty meat content – but they can easily be adapted to a vegetarian dish. The same basic principles can be used using any leftover vegetables and vegetable stock to make a tasty casserole, sauce or soup. This is so easy – it really is a case of throwing in all the ingredients and leaving it to simmer! Chop the onion and garlic and fry gently in some olive oil. Add the leftover veg and chopped beef and cook, stirring, for a few minutes, until it is all warmed through. Serve on top of pasta with a generous helping of grated fresh Parmesan – or any leftover cheese you have from your festivities! This dish of course lends itself particularly well to pasta and makes a good, rich sauce. I always use wholewheat pasta and like Conchigle, or pasta shells, the best. A variety of pasta that that really complements this dish is chickpea flour pasta. It’s fresh pasta that cooks in around 4 minutes, and doesn’t contain any wheat – great for those with a wheat or gluten intolerance. I use the Dell Ugo range available at Waitrose – you can get Fusilli or Spaghetti. Alternatively, if you want to adapt it to more of a hearty casserole, leave the beef in larger slices or chunks and serve with rice or potatoes. Both the ragu or casserole versions of the recipe can also be made from scratch with fresh lean mince, steak, or any other meat – just cook the meat with the onions and garlic in some oil at the start then leave to simmer for longer in the sauce. If you have any left over, you can blend it together with a hand blender or in an ordinary blender/food processor and mix in some more stock to make a rich and tasty soup! Chop the onion and garlic and fry gently in a little oil (I use olive oil but you can use whatever your prefer). Add the leftover veg and chicken and cook, stirring, for a few minutes, until it is all warmed through. Serve with leftover/fresh boiled, roast or mashed potatoes, wholemeal rice or even pasta – the beauty of this casserole is that it goes with everything! 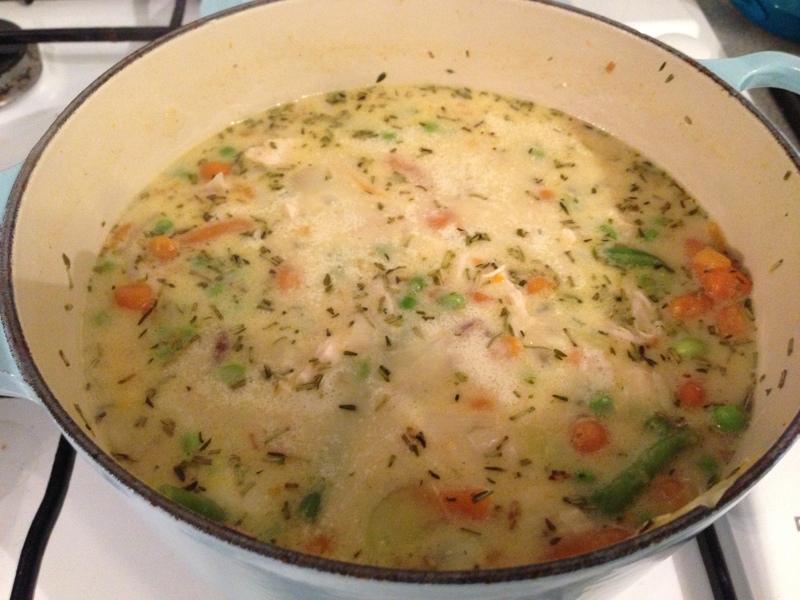 The casserole can also be made from scratch with fresh chicken and fresh/frozen vegetables, cooking the chicken first by poaching in stock with the veg and herbs. Simply prepare the casserole as above, but instead of using stock, add a carton/half a bottle of passata or a tin of chopped tomatoes, a blob of tomato puree, and use red wine instead of white wine. White wine still works perfectly well if that’s what you have left to use – red wine just gives the sauce a much richer flavour. If you have any of either the creamy or tomato-based casserole left over, you can blend it with some stock to make a hearty and satisfying soup! If you have a slow cooker, both recipes are also great to throw in the slow cooker and leave to cook throughout the day or overnight. 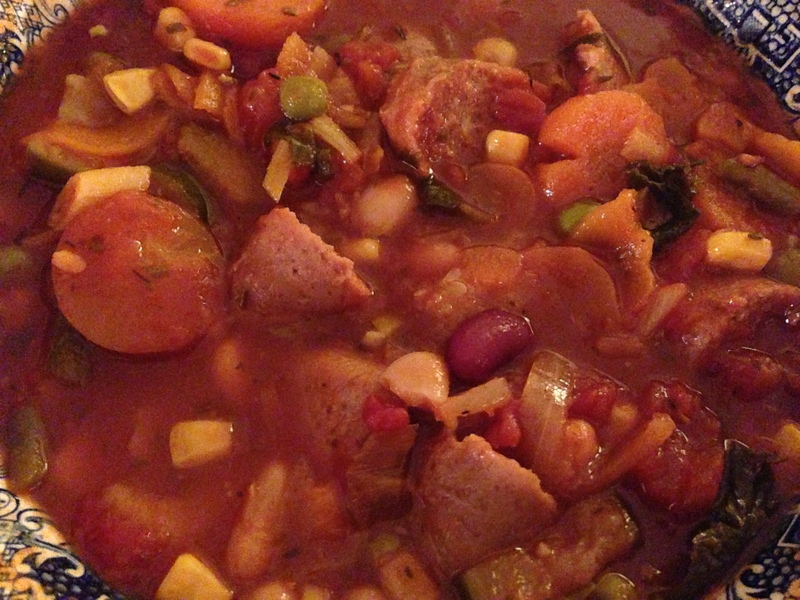 Some more of my favourite hearty recipes to try are Creamy Corn Chowder, No-chilli Chicken Korma and Veggie Sausage Casserole – featured in my New Year 2013 post. Until next time, when I will share more comforting recipes to make the most of your leftovers – including Cheese and Tomato Tart, Fruit Crumble and a Healthy (no-chilli) Chilli – I hope you enjoy the hearty comfort food and that it cheers you up in this gloomy weather! 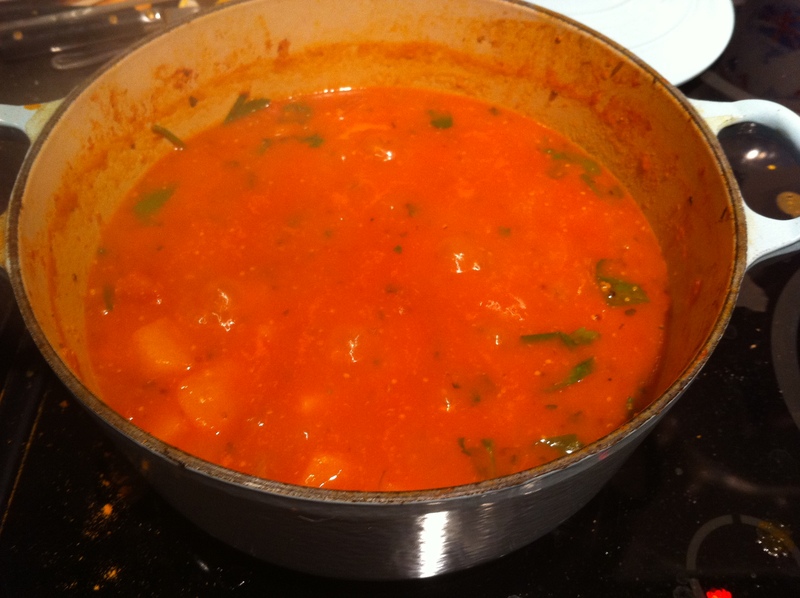 This entry was posted in Food & Drink and tagged beef casserole, beef ragu, casserole, chicken casserole, comfort food, comforting recipes, healthy food, healthy recipes, hearty recipes, leftover recipes, leftovers, soup, winter recipes by Rachael. Bookmark the permalink.